I thought to myself, "You should go in!" Then I panicked, like an idiot and walked away. Then I realized I was being dumb, walked back and decided if nothing else I needed to support the arts in my borough. I am so glad I did! 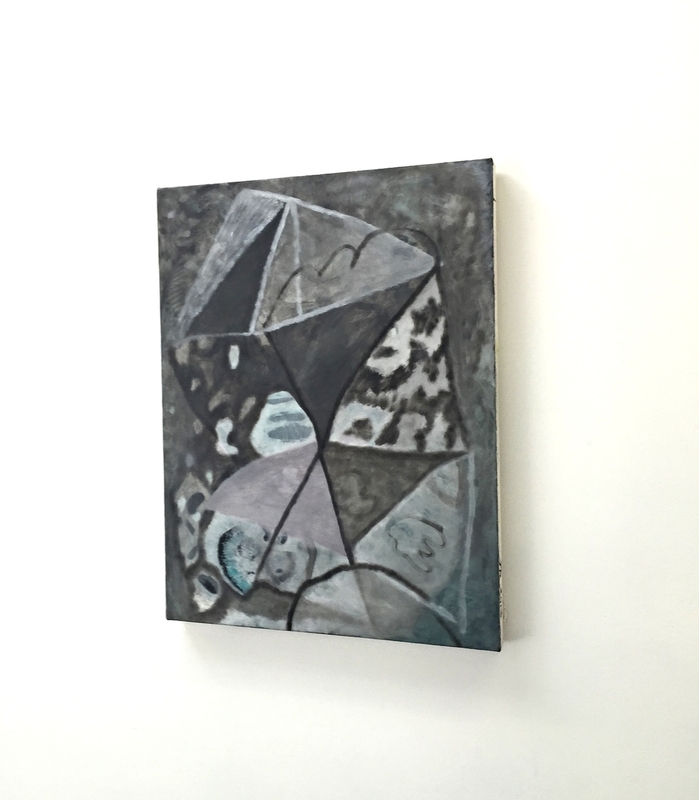 The show, STAR GAZER/ANCIENT LIGHT curated by Trestle Projects at Brooklyn Art Space features the work of Brooklyn artists, Ginny Casey, Lauren Collings, Aubrey Levinthal, and Jenna Ransom. 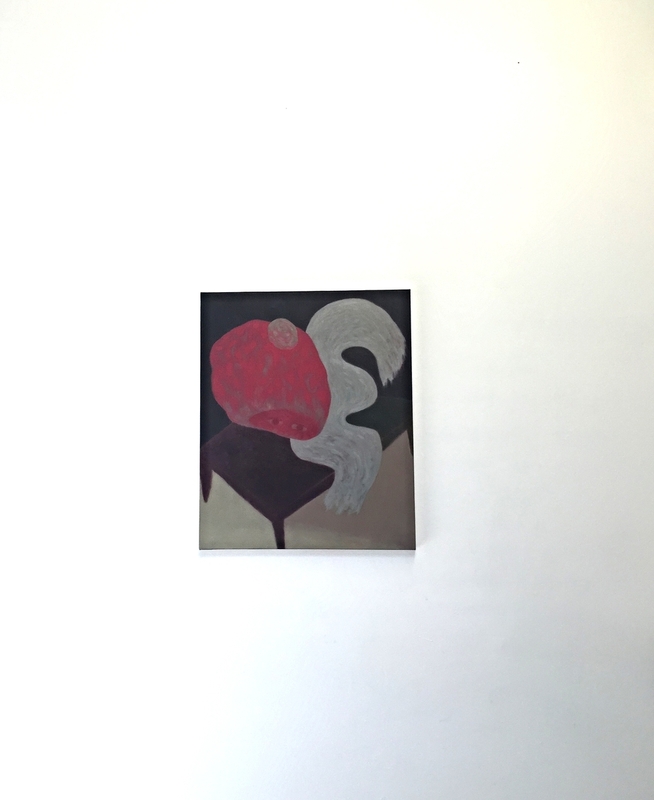 The space is neither large nor grand and the paintings, already small, are dwarfed by the large white walls. However, the lack of pomp and circumstance force you to focus on the paintings as individual pieces. The paintings, all colorful and abstract, pop against the stark, white walls and seemed like impressionistic stills frames of dreams. There is just enough form in the paintings to create recognizable images, but before you can put them in focus, their abstract qualities make you question if there is any intended form at all. The feeling this show evoked was not dissimilar to the feeling you get when you have a dream where you are in your house, but it's not really your house, you just know that it is. Or if you ever have a dream you are reading (which weirdly I do all the time) and you are aware that the words your "dreamself" sees on the page are not the words your brain is reading. If you aren't familiar with this, I'm either completely nutty, or you should read more (your choice). The pieces are both familiar and disorienting with fantastic texture and depth. I am so pleased I decided to step in and truly hope to see more work form these women in the future. I am also glad to have stumbled across both Trestle Projects and Brooklyn Art Space. Brooklyn Art Space promotes creativity and art in Brooklyn by providing affordable studio and gallery space to local artists. Similarly, Trestle Projects nurtures and promotes the community of Brooklyn artists. They are fantastic organizations that are keeping the artistic community in Brooklyn alive in a time of gentrification and skyrocketing rents. Even just 4 years ago when I first moved to Brooklyn, there were affordable apartments and the borough was filled with the artists who had escaped the crippling rent of The Village and the Lower East Side of Manhattan. As Brooklyn got cooler and cooler, the rent rose and all of a sudden it's just as expensive as Manhattan and many of the artists have fled to more affordable markets, like Detroit and Berlin that allow them to pursue their art and pay their rent. 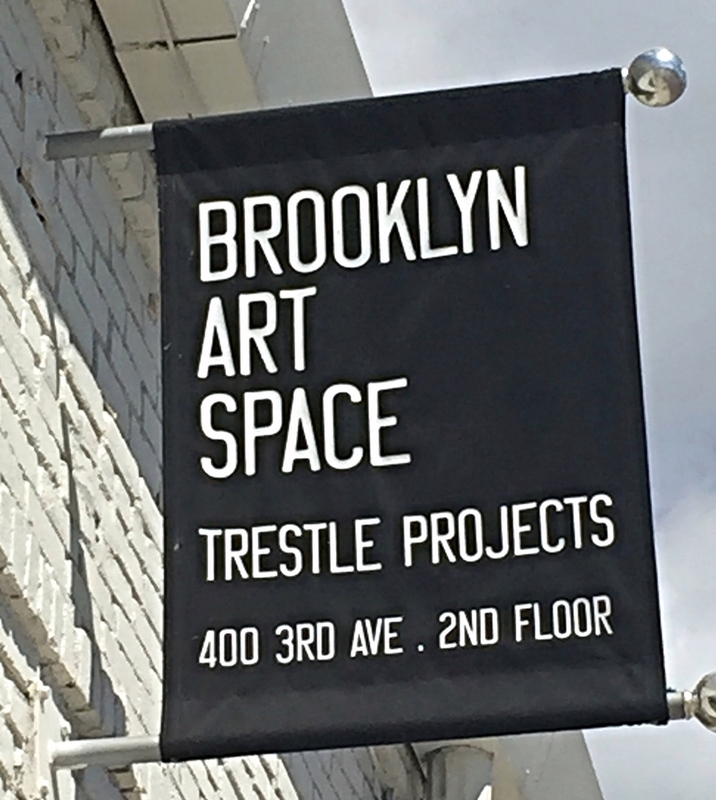 Brooklyn's diversity and artistic community are what make it such a wonderful place to call home and as far as I'm concerned, Trestle Projects and Brooklyn Art Space are doing God's work in keeping that community alive and thriving! If you're in BK, go check it out. And no, I'm not sponsored by them, I'm just super psyched about what they are doing! This particular show is only up until April 16th, but I'm sure whatever they have coming next will be just as worthwhile. If you aren't near Brooklyn, I urge you to seek out galleries that showcase artists in your community. Remember, the earth without art is just eh.